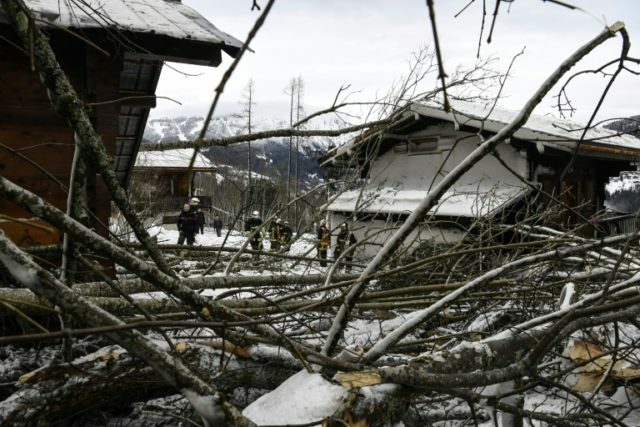 Grenoble (France) (AFP) – More than 100 chalets in one of France’s best known ski resorts near Mont Blanc were evacuated Monday and hundreds of people were told to stay indoors because of avalanche risks. “The situation is extraordinary: we’ve had the equivalent of five months of precipitation in just 45 days,” the mayor of the Chamonix resort, Eric Fournier, told AFP, adding that such snowfall “occurs once every fifteen years”. Over 1,000 residents had been contacted by midday, Fournier said: “We’re asking them to stay inside and to close up shutters on the sides exposed” to potential avalanche flows. Most roads leading out of Chamonix toward Switzerland have been closed to traffic, isolating some villages, and ski lifts were not operating. The avalanche risk was set at the maximum of five for Mont Blanc, Europe’s highest peak, as well as the Aravis and Chablais ranges in the French Alps. Along with the huge amounts of snow, sleet at higher elevations than usual had made the snowpack extremely heavy. “Since becoming mayor in 2008, it’s the first time I’ve had to order evacuation measures,” Fournier said.